Traveling around Salem shouldn’t just be about getting from point A to point B; you want a vehicle that’s both comfortable and capable. The Mercedes-Benz SUVs offer plenty of options for you and your family. 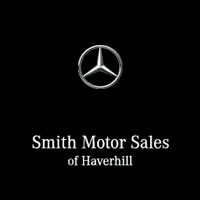 Whether you’re interested in the fuel-efficient Mercedes-Benz GLA or versatile Mercedes-Benz GLE, you’ll find the full lineup of Mercedes-Benz SUVs for sale at Smith Motor Sales of Haverhill! Buy or Lease a New Mercedes-Benz SUV for Sale!